Queenie was born in Asia in 1959. 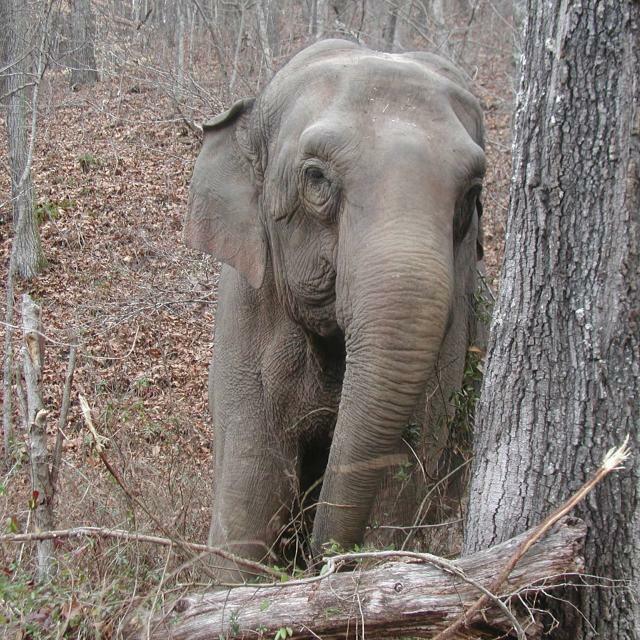 Queenie was captured from the wild at a young age, separated from her family herd and shipped to America for training and performing in the circus. She was purchased by Benson’s Wild Animal Farm in New Hampshire along with Liz, and in 1987 they were both sold to the Hawthorn Corporation, where they spent the next 19 years being leased out to circuses. 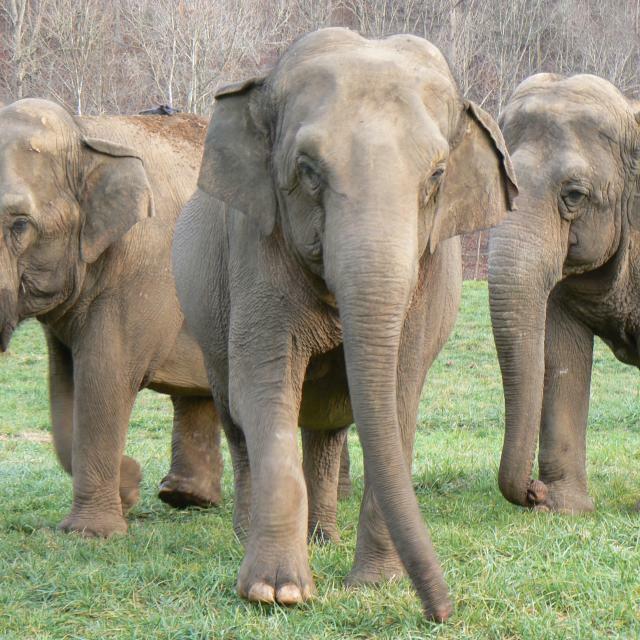 As a result of USDA prosecutions against the Hawthorn Corporation for violations of the Animal Welfare act involving inadequate care and mistreatment of its elephants, Queenie was sent to The Elephant Sanctuary in Tennessee along with seven other members of her circus family. 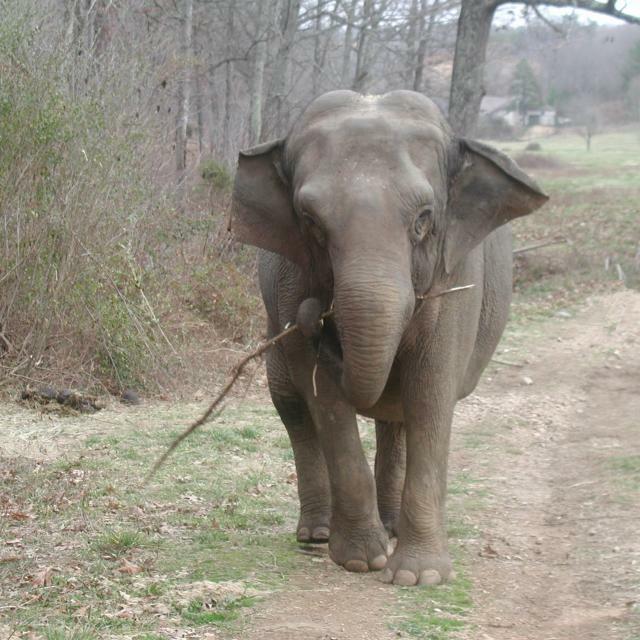 On February 2, 2006, Queenie became the 17th resident of The Elephant Sanctuary in Tennessee. Traveling with Liz, they were the third and fourth of eight circus elephants from Hawthorn to arrive in late January/early February of 2006. Queenie had spent much time with Lottie and Minnie during her years at Hawthorn. Queenie's companions, Lottie and Minnie, made the trip two days earlier. When Queenie arrived, she show excitement at being greeted by her two closest friends. 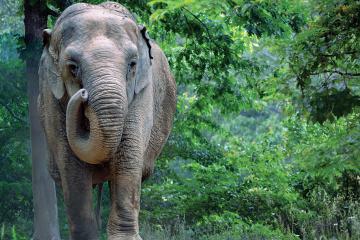 Queenie had the most unique “elephant speak” imaginable—a vocal squeak that always elicited smiles from nearby Caregivers. She had an easy-going personality and was often seen in the company of all of the elephants in her herd, but she always remained best friends with Minnie and Lottie. Queenie was the first of the group to drink from the water troughs out in the habitat and would often spend the early morning hours playing with the barn’s rubber door flaps. On March 29, 2008, with no warning signs or illness, Queenie passed away very suddenly.